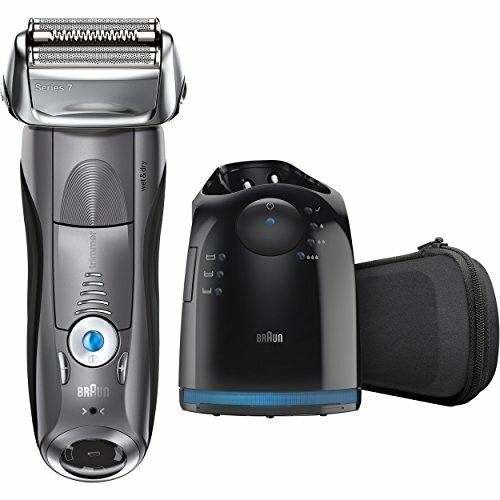 The Braun Series 7 is our smart electric shaver with 4 synchronized shaving elements that shave in one stroke what others do in two*. Innovative Sonic technology and an intelligent AutoSensing motor enable shaving even dense beards with efficiency. The five Turbo/Sensitive Modes adjust the shaver for extra power and gentleness at the push of a button. *Proven on a 3-day beard; IPI research institute, February 2015.